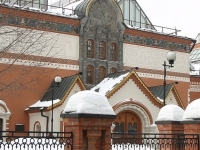 For the most part, Moscow's tourist attractions bear testament to the city's turbulent past, but there are also a number of more light-hearted cultural and religious venues to enjoy in the city. Sightseeing in Moscow is best from spring through summer (April until late August), when it is warmer and the days are longer. The foremost Moscow attractions are the Kremlin, a UNESCO-listed medieval fortress dating back to the city's foundation in 1147, and the multi-coloured domes of St Basil's Cathedral, both iconic Russian landmarks. 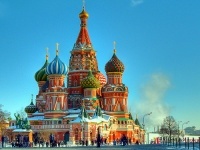 Red Square is another must when sightseeing in Moscow. 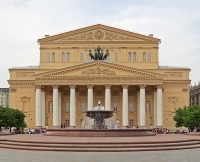 The Bolshoi Opera and Ballet Theatre is home to Moscow's famed performance arts, while the Tretyakov Gallery exhibits traditional Russian masterpieces. 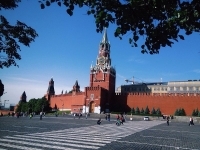 Historic Moscow attractions include Poklonnaya Hill, which highlights Russia's military strength against both Napoleon and Hitler, and the Borodino Panorama Museum which has interesting artefacts and displays from the Napoleonic wars. The Cathedral of Christ the Saviour commemorates the soldiers who died defending Russia in the early 19th century and can be added to the list of military memorials in the city. 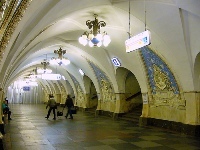 Travellers planning a lot of sightseeing in Moscow should consider purchasing the Moscow Pass, which offers free entry to up to 38 attractions, among other things.